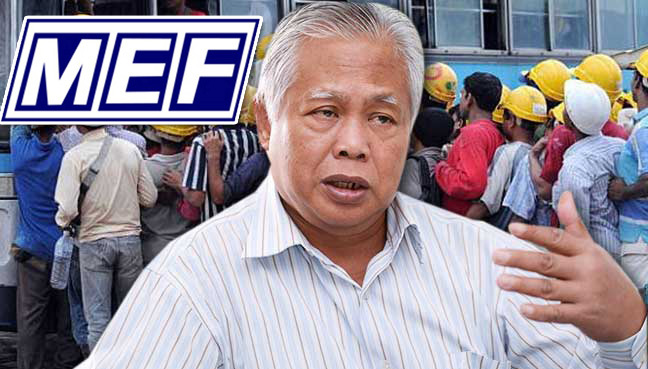 Malaysian Employers Federation (MEF) executive director Shamsuddin Bardan was quoted as saying there had been conflicting announcements since news reports emerged in May about a lifting of the freeze on hiring of foreigners in four sectors – manufacturing, plantation, construction and furniture. Transport Minister Liow Tiong Lai had told the press on May 12 that the Malaysian Cabinet was lifting the freeze on hiring foreign workers for the four sectors mentioned. However, former immigration director-general Sakib Kusmi was then quoted as saying that the easing up on the freeze would only apply after the Government’s five-month rehiring programme for illegal foreign workers concluded on June 30. Then, in an about-turn, on June 1, the Home Ministry announced that it would not lift the ban until it is convinced that employers stopped using agents and took full responsibility of their workers’ welfare. “There seems to be different policy considerations. Many bosses are not sure if they can apply for new foreign workers,” Shamsuddin said, adding that the Government should make clear its hiring policy on new foreign workers. According to Shamsuddin, some employers were already heading to particular countries to recruit workers for their business. The freeze on foreign worker intake in February had reportedly led to RM24 billion in losses. Out of this amount, about RM2 billion was due to fruits left unharvested in the plantation sector. The daily also spoke to the Malayan Agricultural Producers Association (Mapa) executive director Mohamad Audong, who said that not even a single worker was hired to work in Mapa plantations during the Government’s rehiring programme, as no one applied for it. He said Mapa members needed 15,000 Bangladeshi and Indonesian workers to work in the oil palm, rubber and coconut plantations and they are needed in the next five months, during the peak harvesting seasons – failing which the fruits will rot and more losses will be incurred.